Are you planning a big day for your special little person? The Ark Play Centre can take help - you just have to turn up with a birthday cake and the party guests. We'll take care of everything else! Planning a School Tour? 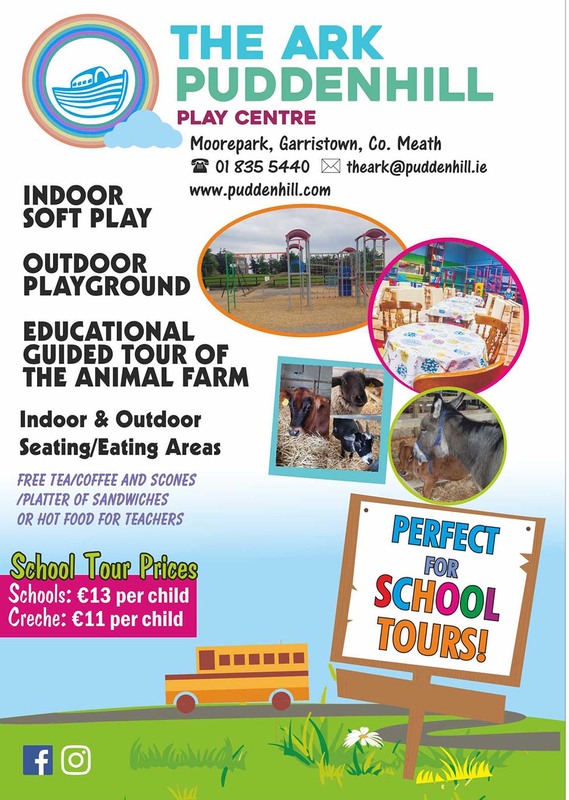 Loads of indoor and outdoor fun for children with free food for teachers! Join our group every Friday for only €5 per toddler until 1pm and under 1s are FREE! A new and improved Puddenhill. While the kids are having fun, the adults can relax an enjoy a coffee! There are two party options available for your big day. Host your own party in the main play room with long benches reserved for the little party guests. Party Bags for all the children on the way home. We provide a party host look after your party group in a private party room. The children can listen to music and have fun! With this option you also have the use of the party tower. Planning a school or group tour? Fun, games, disco and every child gets a a pumpkin!